Here are some gates which were made automatic by DBS. 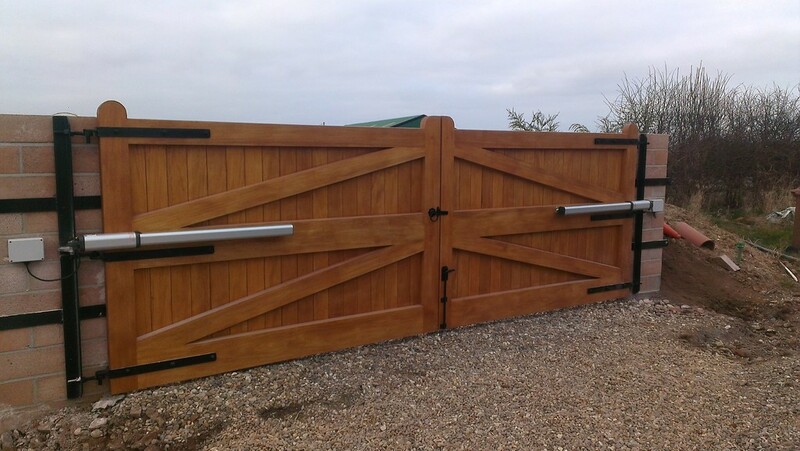 Utilising existing gates and posts these articulated arms where fixed to the gates at mid height and as you can see by the picture they are barely visable from the road side. The full security package can be carried out by DBS installing Gates, Intercoms, CCTV and security lighting. 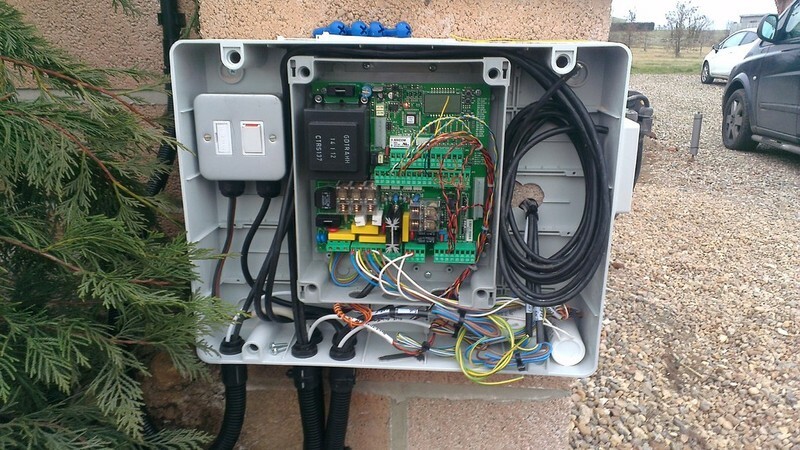 Should you require any information or would just like a chat about gate automation please contact us now! See another example of gates that DBS have automated. All gates will be assessed for risks to others should anybody find themselves trapped by moving parts, Photoelectric health and safety beams will be installed to suite your installation. 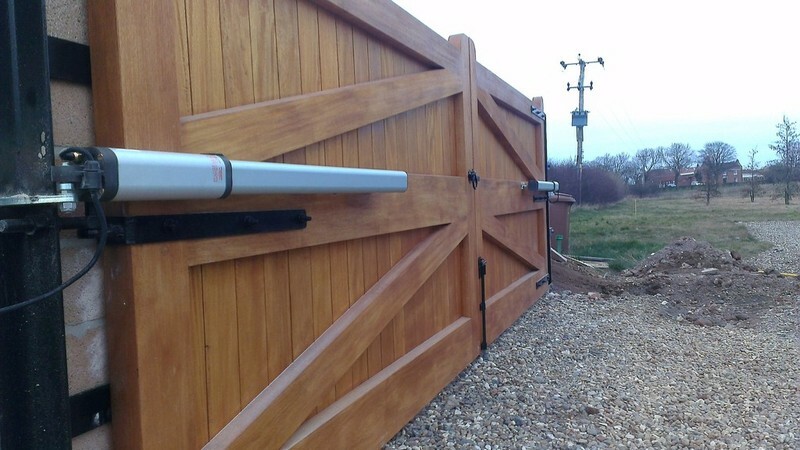 Often faults can be picked up on and rectified before they happen with moving parts systems, so we do recommend a service package when purchasing a gate system from us. This installation has the pedestrian function enabled so when on foot only one leaf opens half the way to enable pedestrian access only. 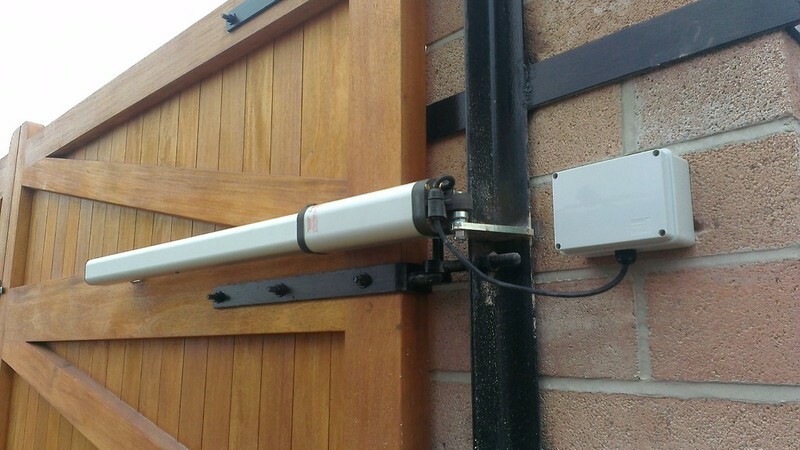 Two remotes for total control are supplied with our gate systems which can also be programmed to open your garage door.